It's what drives every scientific expedition. Without it, Lewis and Clark would not have ventured out west and Neil Armstrong and Buzz Aldrin would never have stepped foot onto the Saturn V rocket that launched them into space. It's a burning curiosity, a nagging itch to discover what lies just beyond the horizon. The philosopher Thomas Hobbes had a name for it: "the lust of the mind." 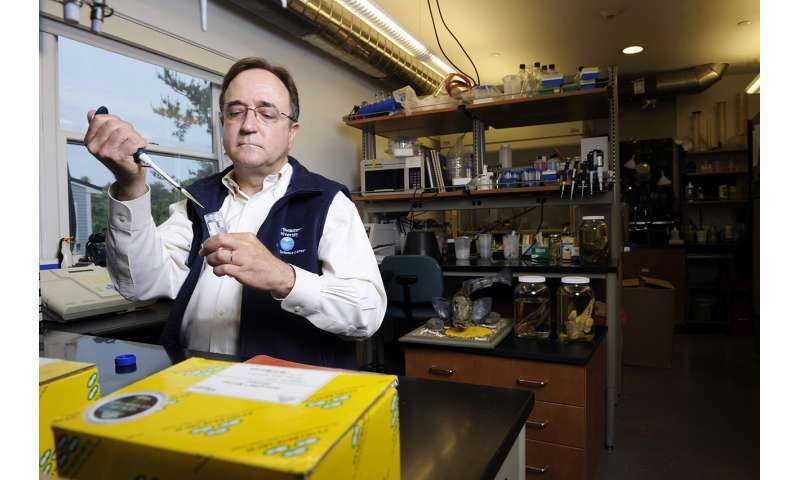 It's the same reflex that has driven William Detrich, a marine and environmental science professor at Northeastern, to travel to the world's southernmost continent more than 20 times since 1983 to try to understand how Antarctic fishes thrive in the extremely cold Southern Ocean. On his latest expedition, in March, he took filmmaker Frank Hegyi with him. As it turned out, Hegyi had his own burning question: What kind of Pokémon live in Antarctica? As with all of life's important questions, it would take time and effort to answer Hegyi's question. Traveling with Detrich, he experienced a couple of long flights, a perilous journey by ship, and bouts of seasickness. Then one day, armed with a cellphone, camera, and multiple layers of clothing, Hegyi trekked out to Palmer Station, the American research base on Anvers Island, turned on the "Pokémon Go" app, and soon found himself staring at a bouncing animated character across his phone screen. He could finally say with authority: "Palmer Station is a Pokémon stop." Once that was settled, there was real work to do. Detrich, Hegyi, and company had set out on a six-week journey to find out what global warming was doing to the icefish. Over the span of 10 million years, the species has adapted to Antarctica's freezing waters by shedding its heat shock response, a protective mechanism that most vertebrates and other organisms have developed to deal with rapid, but transient, elevations of temperature. 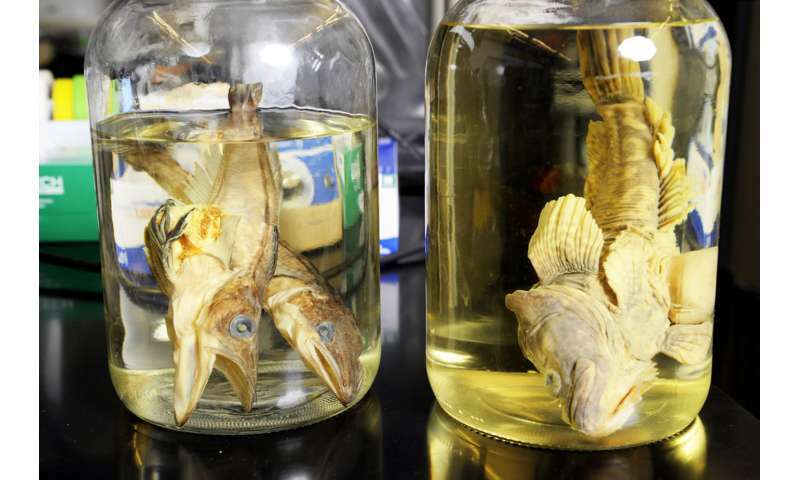 Instead, Antarctic fishes evolved to survive the extreme cold by producing antifreeze proteins. Detrich wanted to find out how the rapid warming of parts of the Southern Ocean, where temperatures are estimated to increase 2 to 4 degrees Celsius over the next 400 years, would affect the development of the embryos of Antarctic fishes. "That's of interest," he said, "because these fish have not experienced such temperatures for about 10 million years. They've lost traits one would think would be necessary to survive warm temperatures." Detrich suggested that it isn't possible for these fish to re-evolve a heat shock response in such a relatively short period of time. He said the reason we should care about the survival of this strange-looking species is critical to the Southern Ocean food web. The decline of Antarctic fishes could deplete the food supply for some seals that feed upon them as part of their diet, in turn disrupting the ecosystem. Detrich never made it to Antarctica's shores to conduct his study. One night, rough seas hurled the sleeping professor five feet across the cabin from his top bunk, precipitating an early return to Boston with a broken left hip and pelvis and a dislocated shoulder. But he encouraged his seven-member team to stay the course. The chaos in the immediate aftermath of Detrich's accident, and the research of his field team, is documented in a three-part video series he and Hegyi have dubbed "Expedition Antarctica." In episode one, the scene plays out like this: An emergency crew is tending to the badly hurt professor and attempting to carry him up to the cruise ship's makeshift hospital while taking turns to vomit every few minutes. Hegyi said that Detrich's physical condition did not prevent him from discussing work. "In the middle of him trying to figure out if he's going to die or not, Bill goes, 'Frank, film all of this,' and I'm like all right." Episode two focuses on fun facts about Antarctica, while episode three explains the evolution of the icefish. The series, which debuted on YouTube on Monday, features plenty of polar eye candy to offset the drama. There are sunset-gazing penguins, yawning seals, and glaciers galore, as well as lessons about the first group of Antarctic explorers juxtaposed with the struggles of today's visitors contending with spotty Wi-Fi. Yes, it's true; Antarctica, one of the world's most inhospitable and isolated continents, does have internet. But as Hegyi would come to find out, it does not have polar bears. "A bunch of people living here have asked me to make the following public service announcement," a beanie-clad Hegyi says in one video. "There are no polar bears in Antarctica. 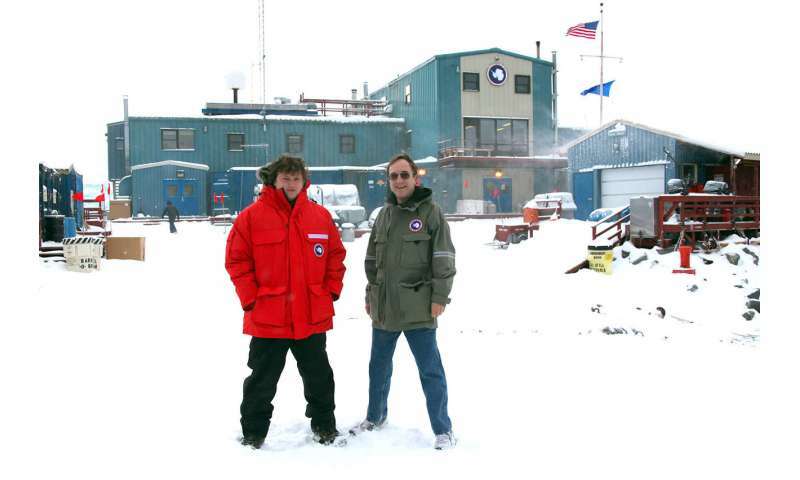 They're at the North Pole; we're at the South Pole." The series aims to teach middle school students about the polar regions of the earth with the goal of inspiring interest in science, technology, engineering, and math. It was developed with grant funding from the National Science Foundation, a public agency that supports research and education in science and engineering. Carole McCauley, a former outreach program coordinator at Northeastern's Marine Science Center, helped to execute what she described as one of the biggest projects of both her and Detrich's careers. "One of the things I was tasked with doing was helping scientists find compelling ways to demonstrate that their research benefits society in some way," she said. "Bill really wanted to bring to light what it's like to plan an expedition. We said we can't make it just about the icefish, but we wanted to tell the story from beginning to end." More episodes of "Expedition Antarctica" could be on the way. Detrich said he's not done exploring the continent just yet. "I'm just going to say it it doesn't feel right going out the way I did," he said. "It feels like I need to go back and obtain closure."